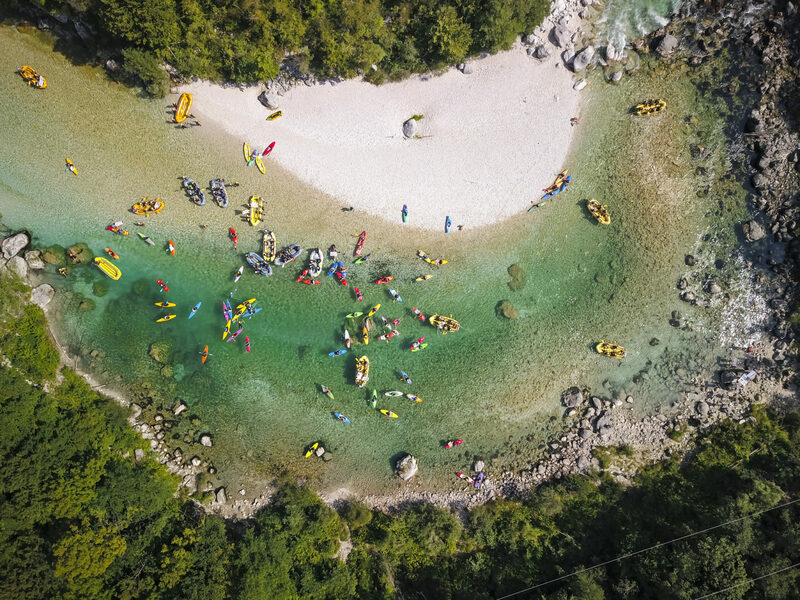 From July 7-13, 2019 the banks of the Soča River will become the playground for the STUDENTS for RIVERS CAMP (SRC), a week-long gathering of students from across the Balkans and other European countries. It is the official kick-off of our River Intellectuals network and part of the second week of Balkan Rivers Tour 4. We invite all research-hungry students to join us! Find more information below, and fill out an applications to make sure you’re part of it! Fill out an application form here! The Students for Rivers Camp is a week-long gathering of students who love nature and want to protect it by using their brains. 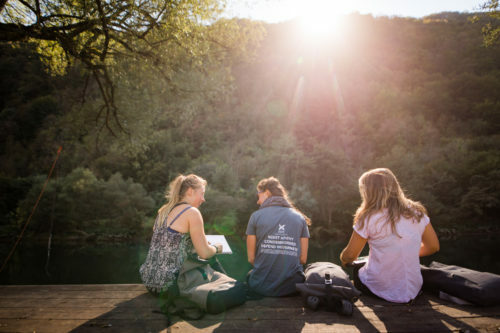 Whether you just started your Bachelor thesis or are about to finish your PhD, whether you study law or engineering, ecology or economics, during this camp you will have a chance to connect to like-minded people and learn how your research or study project can contribute to saving the last wild rivers of Europe. The week will consist of expert lectures, workshops, and a river experience where you participate in a short multi-day river trip. The expert lectures give insight into the importance of the river ecosystems and the driving forces behind hydropower development. The workshops will illustrate the role of corruption and how stepping to the court can be a tool to give a voice to the rivers and local communities. On an overnight river experience, it is the river itself that is the inspiration. We create a setting where ideas can flow in a way they would not in a formal classroom. In small groups, you will explore research needs and opportunities in a topic of your choice and at the end of the week, you will walk away with team initiatives that can be the start of a career in river conservation. This camp is the official kickoff of BRD’s River Intellectuals network, a community of students and experts that work to bridge the gap between academics and conservationists. It will facilitate access to research, information exchange and other creative initiatives that support local NGOs fighting for their rivers. Feel free to download it and share it via email or print+paste it on your university walls! Initiated by Balkan River Defence, we formed a multidisciplinary team to organise this first Students for Rivers Camp. All of the camp organizers are Master/PhD students or recently graduated, and are super excited to get together with a bigger group of motivated students. They are river lovers and defenders and many are whitewater kayakers. During the Students for Rivers Camp, we will provi de you with knowledge through expert lectures but also challenge you to share the knowledge you have. We will form a varied group with different backgrounds, not only study-wise but also culturally. Below are the topics and a rough outline of the week. If you want to contribute with a presentation in any of the topics, please let us know in your application! From mountains to ocean, an endless amount of processes contribute to sustaining healthy river systems. Together with river experts, like Gabriel Singer (IGB Berlin), we will dig into functional flows, river habitats and morphology. What are the impacts of hydropower on rivers in the Balkans and is it necessary? We will consider the need for hydropower in a world that screams for the reduction of carbon emissions and discuss which alternatives are out there. Currently, roughly 1.000 hydropower dams exist in the Balkans. The construction of another 3.000 small and big dams is planned. This is not simply driven by the need for ‘sustainable energy’- there is a whole lot more behind it. We will touch base on the complex collision between politics, economics and law. We have invited some of our heroes, the ones that fight for the rivers on a daily basis. Some are experts in legislative processes, some aim to raise awareness while others focus on sustainable tourism. All will share their experience on how research contributed to their work and what they would need from the academic field. In the afternoons, a series of workshops will keep us active. Through a fact-based, serious game, specially designed for this camp, you will better understand how corruption functions and how it influences hydropower development in the Balkans. You will have a chance to dive into the role of a construction company or investor and learn what is needed to get a dam up and running. Through discussions, brainstorming sessions, and debates, we will further dig into how and why hydropower is affecting rivers and communities of the Balkans. Finally, over the course of the week, you will match up in intercultural and interdisciplinary teams, and explore what your past, current and future research can bring in the fight to keep rivers free flowing. After five days of lectures and workshops, we will get out on the river for a two-day river trip. 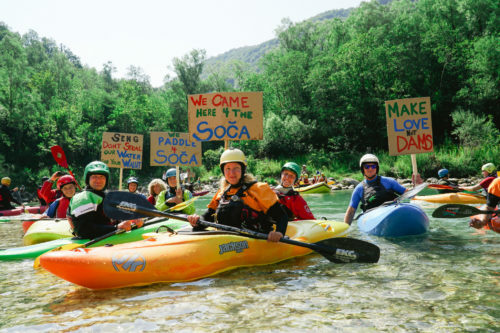 In (pack)rafts SUPs and kayaks, we descend the Soca River, starting at our basecamp and finishing on the reservoir created by the Podselo Dam. Lead by a crew of professional guides, we learn more about the different habitats, and which data can give us easy insight into the state of the river. When reaching the reservoir, we will discuss what could happen if the dam was removed. 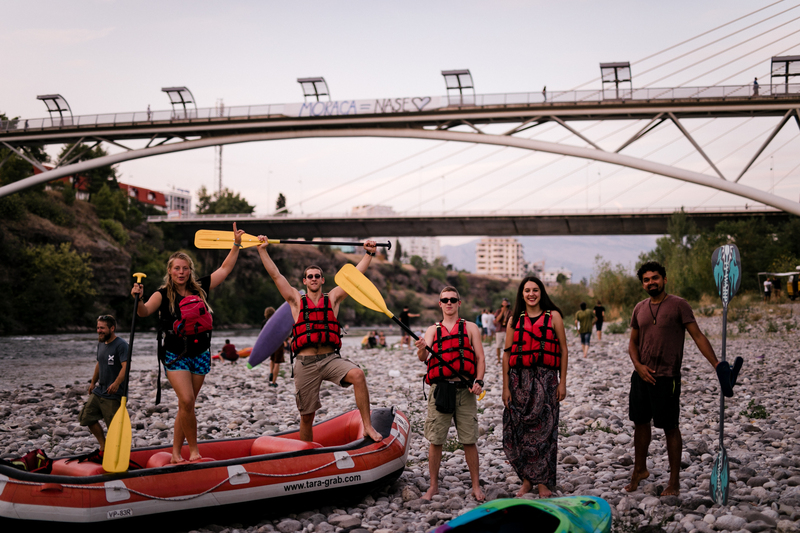 The SRC week runs parallel to the second week of the Balkan Rivers Tour 4 which will not only allow you to meet even more river enthusiast, you’re also in the right place to join the BRT party and flotilla on Saturday the 13th! 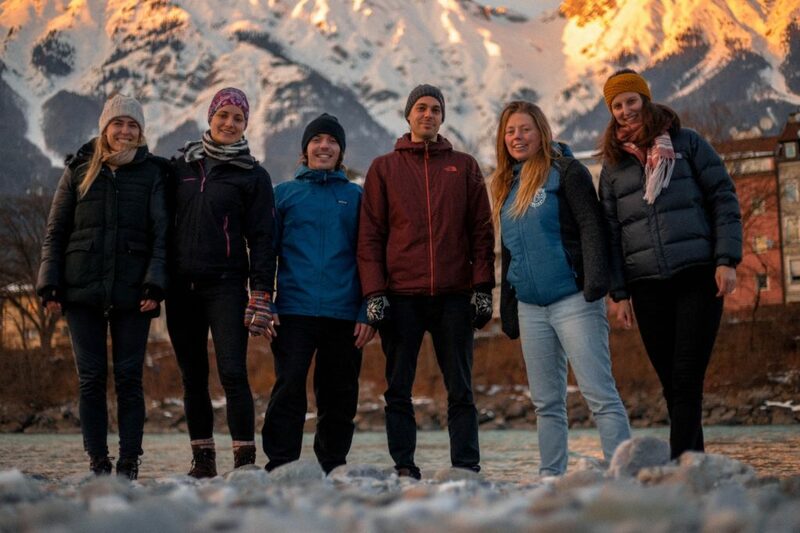 There will also be an adventure activist film festival throughout the week. More information and a detailed, day-by-day schedule will follow soon. Follow us on our Facebook and Instagram accounts to stay informed! We aim to gather 15 students from the Balkans and 15 students from the rest of Europe, diverse in origin as well as in field of study. Through this application, you can let us know why you should be part of the Students for Rivers Camp. After the application deadline, we will select a group and inform you before the end of May. 1. Fill out and submit the application form. Keep in mind, some of the questions provide us with practical information that will not impact the selection process but will help us in the organization of the camp. What is your current study field and how does it link to river conservation? Are/were you involved in research that had a nature conservation connection? If yes, please describe it briefly. What unique attributes, non-study related skills or experiences do you have that contribute to the Students for Rivers Camp? If funding were no object, what would you do to contribute to the protection of rivers in the Balkans? Make sure the letter/video are below 25 MB, with the file name SRC_Motivation_YOURNAME. Send it to ri@balkanriverdefence.org with the subject SRC Application YOUR NAME. Are you an experienced outdoor enthusiast? Sweet. Is this your first camping experience? Even better! We strongly encourage you to join us regardless of your outdoor experience! (No worries, clean toilets and warm showers are available). The basecamp for Students for Rivers Camp is Kamp Koren, on the banks of the Soca River just outside the town of Kobarid. For the majority of the week we will camp at the campground, sleeping in our tents under the starry sky. During the River Experience, we set up a pop-up camp downstream at Kamp Labrca and pack up to continue the next day to paddle to the Most na Soci reservoir near the town of Tolmin. You are responsible for organizing and paying for your transportation to SRC in Slovenia. Unfortunately, Kobarid is not very accessible by public transport. As soon as we have an overview of all participants, we will look into ways to get you from Ljubljana (capital) or from either Tarvisio or Most na Soci (closest train stations) to the base camp. We encourage travel over land. Once you arrive, transportation for all SRC activities will be covered. All participants are required to have a valid travel insurance for the time of the camp. This is you own responsibility. We want every student from the Balkans and the rest of Europe to have the opportunity to participate in the Students for Rivers Camp. As we have limited funding, we ask for a contribution but we don’t want money to be the reason you cannot come! If this would be the case, let us know in the application and note your reasons. Since we’re camping, we ask you to bring your own camping gear (sleeping bag, sleeping mat and tent). If you do not have any, no worries, we can help you find what you need! All safety gear related to the River Experience will be provided.Additionally, bring some warm clothes, rain gear and decent shoes that can get wet and be used for hiking. Bring a big smile, a thirst for knowledge and an open mind.